The BBC letters that contributed to Television Centre being one of the country’s most recognisable buildings were taken down in September 2014. 54 years after the building was opened by The Queen, the letters are being relocated to New Broadcasting House, the BBC’s new and refurbished headquarters in the West End. 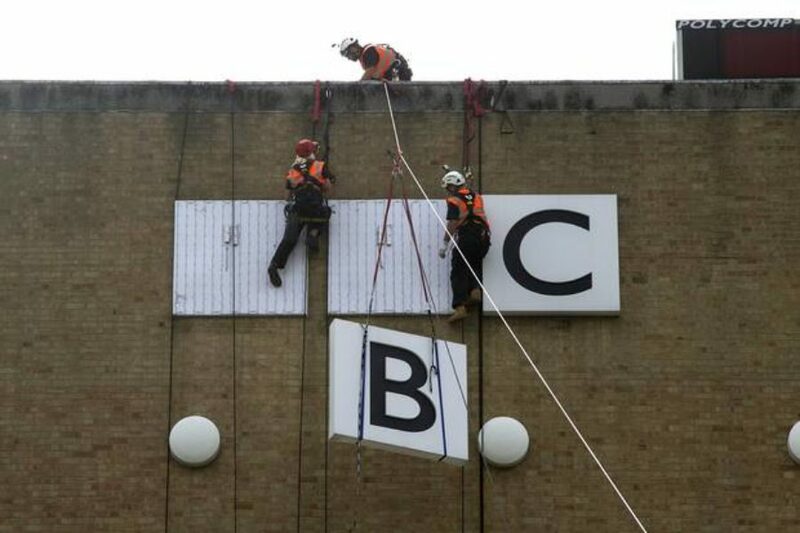 The removal of the logo – which took three abseilers more than five hours to manoeuvre – was timed to coincide with the handover of the 14-acre site by the BBC to Stanhope, which is redeveloping and regenerating Television Centre as a mixed use destination for west London. The letters were attached to the listed “atomic dot” brick wall facade of Studio 1 and were part of the design by architect Graham Dawbarn for the corporation in the '60s. The famous wall and its dots will be refurbished and remain in situ, as will many other much loved features of the iconic building.